As I've said in my Holiday Style Guide, I love dressing for the holidays. This post is part of the #galpalholiday Link Up hosted by Rachel of Seashells and Sparkles! I wore this outfit to dinner with my parents when I got home for Thanksgiving break, to lunch with Sarah the other day. It's actually probably just as comfortable as a t shirt and sweats because the shirt is a soft material and the pants are essentially leggings, there's only faux leather on the front side. Anyway I think something like this would also be fun for a Thanksgiving or Christmas event too. 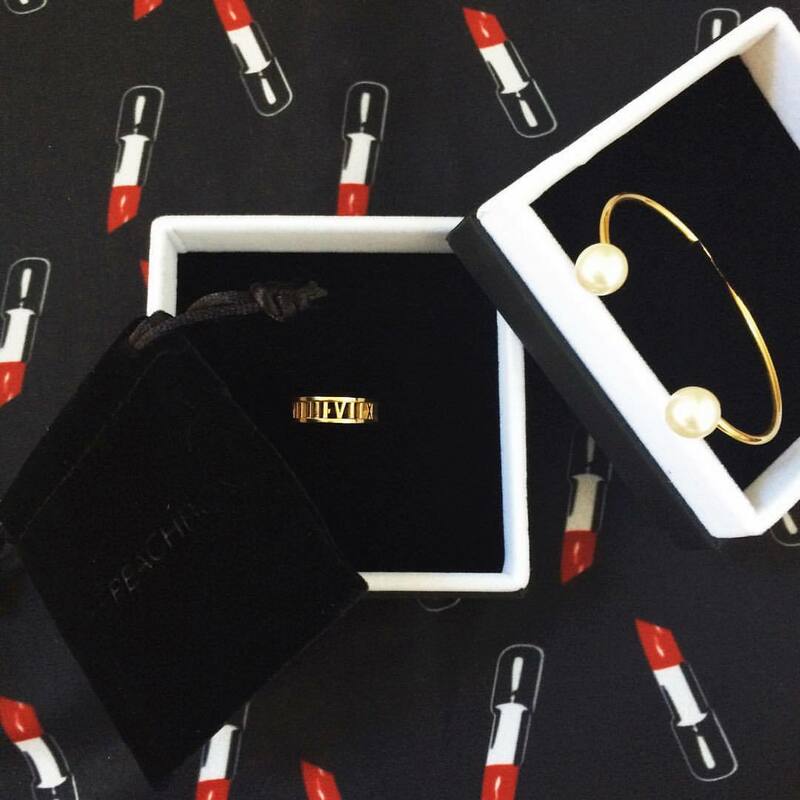 I'm also wearing these simple and classic pieces, the Roman Empress Ring and Open Pearl Bangle both courtesy of The Peach Box! You can use code tbp-cara_194 for 15% off through the end of December! This is the perfect pop of pink! I love the top! I love this outfit! Could definitely see myself wearing it!! I love this outfit! Not only is the coat perfect and just the right shade...I am in love with that blouse. It reminds me of a kisses on black background blouse that I recently saw and now can't remember where to find. That was probably fate because I love this one more. Gorgeous! I am completely obsessed with your coat. I am not much of a pink girl, but this shade is beautiful! I hope you have a great Thanksgiving!! THAT COAT! I'm absolutely in love with it, the color, the design, everything! That coat with the Kendra earrings - major heart eyes! Hope you have a great holiday!! Wow! This coat is ADORABLE. You are going to be turning heads this holiday season - love it girl, so pretty! Thanks for linking up with us! I absolutely love this pink coat! It's just perfect! 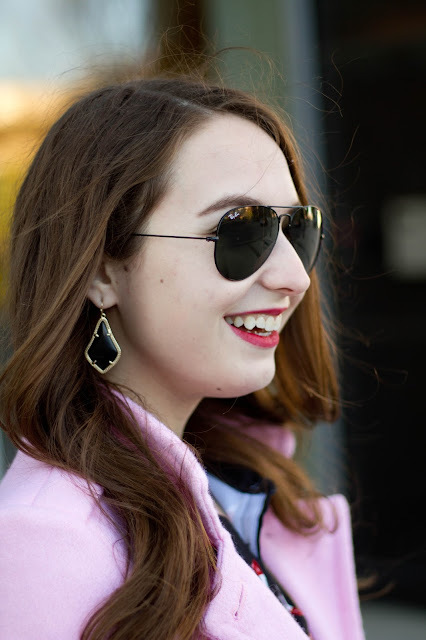 I love the pop of color in your coat, and the jewelry! I'm all for a comfortable,and cute outfit! This outfit is too cute! Happy Thanksgiving Cara! This outfit is seriously adorable! Love all the fun colors, prints and textures! Thanks for linking up!